Question of the Week – When it comes to nail care, how often do you moisturize your cuticles? Do you prefer balms, creams or oils to get the job done? Answer: – It’s the one part of my nailcare routine that suffers the most… I try to oil them when I remember which is usually at the point of polish removal but really… I should be doing it every evening. My nails are very dry and as a result, prone to peeling. Must. Try. Harder. Oh, and oils… definitely oils! 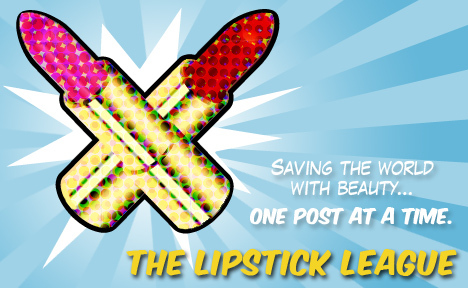 we heart this – How could OCC improve upon their beloved Lip Tar? By adding a see-thru, glossy look to their original “hyper-opacity” formula and launching the Lip Tar Stained Gloss! Beauty Junkies Unite – See why Amber thinks the Perlier Italian Lemon Sorbet Crackling Ice Body Water is literally the coolest new body product for summer! Clumps of Mascara – can’t get over how awesome Avon’s newest mascara is. It’s unlike anything you’ve ever seen before! EauMG – shares one of her favorite natural finds of 2013 (so far). It’s Phoenix Botanicals Night Bloom perfume oil, an intoxicating white floral with vanilla. Gouldylox Reviews – This braid tutorial is so easy anyone can do it! Lipglossiping – asks the all important question: Salt or Sugar? Is your exfoliator scrubbing you up the wrong way? My Beauty Bunny – Too hot and humid to wear foundation? Jen checked out Too Faced’s Tinted Beauty Balm (BB) Cream and found it’s the perfect lightweight alternative for summer. Nouveau Cheap – If you haven’t seen the Dip-It from Target yet, it could be a game-changer for you (and it’s only $2.50). Pink Sith – Sometimes you just have to buy a nail polish because, KITTY! Prime Beauty – has a question for you. Is there a foundation that provides a flawless finish AND substantial sun protection? Why yes, thanks for asking. Avene High Protection Tinted Compact SPF 50. Phyrra – shows you how to be Naturally Chic with Milani Shadow Eyez Pencils and Liquid Eye Liners. Guest Post of the Week, as chosen by we heart this – We love Beauty Info Zone for their straightforward and informative reviews on all things beauty, and we check in every week for The Sunday Scoop, which always includes a list of the very best beauty giveaways on the webs.